This left wing blog gives more and more reason to vote UCP! I have also noted, as some other commenters on social media have, that recent female bozo eruptions triggered candidate withdrawals, while recent male bozo eruptions have not. Draw your own conclusions. The UCP is not fit to govern. The only bozos are the far left hate mongers in the NDP party. They show no respect for anyone other views than what they deem important. There is nothing progressive about only hearing one side of an issue and that is all they are capable of. Their hate campaign has hurt more people than it has helped and thanks to Alberta voters they will soon be gone. Well said! The extent to which the left tries to cut off opposing views is stunning. I hope the NDP’s hate campaign is not rewarded with votes. That would doom us to attack campaigns from now until kingdom come. I’m no fan of the NDP but to accuse them of being hate-mongers is absurd. They aren’t the ones who pose with the Soldiers of Odin or mouth white supremacist slogans. Your opinion is ridiculous. If you’re going to make a claim, back it up. Where is your evidence? It seems that over the last 10 years our society (especially the media, academia, and public sector) has moved so far left that beliefs in the sanctity of life, traditional marriage, and Christian values have become politically incorrect, while such perversions as non-medical abortion, celebration of LGBTQ lifestyles, “social justice”, gender theory, and hate towards white people have become accepted. That being said, it’s good to know that there are still good people in the conservative movement. It’s disheartening to see the “cut taxes”, “money is all that matters” types dominating the UCP and CPC. We need less of Jason Kenney & Andrew Scheer and we need more of Mark Smith, Eva Kiryakos, and Caylan Ford. Why would we want more of the people when they are influenced by 4th century thinking? Please name one society that is demonstrably better off because it formulates social policy based on Christian values. Apparently didn’t get the memo this stuff isn’t supposed to come out until after the election when the UCP would have access to the public coffers to pay the lawyers. These are fine examples of why many former PC’s just can’t stomach the UCP. I have always be a supporter of small government one can only imagine how big government would need to be to regulate who can love whom. As a consenting adult do what you like as long as it doesn’t infringe on the rights of others. That was at one time considered a right wing libertarian view apparently now it aligns with the left of centre NDP. What a strange world we live in. I voted PC my whole life and I am so disheartened that that Wildrose Party is now taken over the UCP. This is the first election ever that I am voting for Rachel Notley. Or instead of firing him, here’s a thought, don’t vote for him. Isn’t that how a democratic election is supposed to work? You don’t like or agree with the candidate, you simply vote for someone else. Now, to fire the candidate after the nomination deadline has passed would mean there wouldn’t be a UCP candidate for that riding. How democratic is that? It is understandable, however. the NDP knows the only way they could possibly beat Smith in that riding is ensure he’s not on the ballot. It’s convenient that a years-old quote surfaced after the nomination deadline passed. In the 1997 election I went door knocking with our Liberal candidate. Ralph Klein had just dumped a candidate (I think it was his barber) when the Liberals discovered and released that the candidate had a history of beating his wife. I expressed surprise/disappointment to our candidate that they didn’t wait until after the nomination deadline, so the PCs had to either go with a wife beater or forfeit the riding. I expect that is why Kenney is sticking with Mr. Smith when he let Eva Kiryako,s and especially Caylin Ford who he personally selected, go. 1. The issue will probably not be enough to cost Mr. Smith the election in Drayton Valley – Devon. 3. 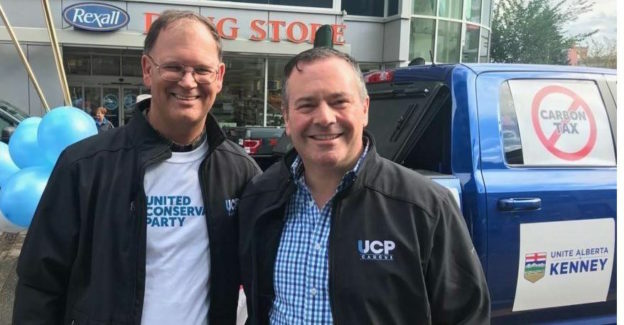 Are the UCP worried about what other Bozo Eruptions are coming down the pipe now that the nomination deadline has passed? If the UPC did decide to dump Smith it would set a precedent that they would be expected to follow when more of these things come to the surface. How many candidates could Jason Kenney afford to lose? If political parties can’t have differing views on any issue, what is the point of having different parties? What happened to the big push for diversity? When is the left going to admit that they only mean diversity of skin colour? Not of thought or beliefs. If you don’t like a candidate, then don’t vote for them. If you expect the party leader to fire anyone with differing views then why have candidates for different regions in the province. We just need on person, the leader to govern the entire province. Mr. Cournoyer, it appears you’re either unable or unwilling to stop talking about gay issues. Did Mark Smith make disparaging comments about the gay community 4 to 6 years ago and has he since apologised for them? Yes. Does Mr. Smith speak for the majority of United Conservative supporters? Not by a long shot. Did the Wildrose party take over the United Conservatives? Not even close – but both learned a hard lesson in 2015. Would the United Conservatives invoke the Notwithstanding Clause and revoke equal protection for gays under Canadian law? Not likely. In fact I’d bet money that won’t happen – your call. Is the gay community doing a good job of advocating for themselves? Yes. Are you a vociferous advocate for gay rights? 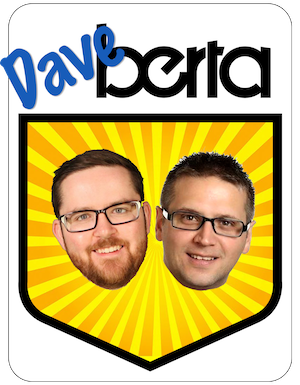 Yes, and maybe the “Alberta Election 2019” podcasts should be re-titled. Are gay rights the primary issue of the 2019 Alberta Election? Not at all. Try knocking on some doors: the important issues are jobs and the economy. Are most voters interested in gay rights? No. Should the gay community be allowed to set the agenda and tone of political debate in this election? Why exactly? “The United Conservatives have decided parents, not government bureaucrats, are better suited to look after their own children’s long term interests. Alberta socialists are furious. Their rationale goes like this: “How dare the UCs take power from the government agents (teachers)? Don’t they know government bureaucrats are better at looking after client interests than parents? Socialists frame the issue as taking away LGBTQ rights while ignoring good reasons based on long experience for not giving children the same rights – and responsibilities – as adults. Mr. Cournoyer, for someone who prides himself on a deep knowledge of Alberta politics your silence on the governing party record speaks volumes about that record. @Cousin Al: Sir, the bottom line in all of this is human rights, rights that influence big things like life & death. Do parents’ rights to know what their children are doing at school, trump those children’s rights to safety and security? Given the evidence on the risks of death by suicide and exposure, which are far higher for LGBTQ2S+ children and youth than for straight kids, the answer has to be, no they don’t. Al, what would your advice be to a 14 year old boy who realizes he is gay, but whose parents’ response to the whole gay issue is ‘if we castrated all the gays the issue would be taken care of’? What are your thoughts on parents who send their kids to conversion therapy, on the advice of their pastor? Is the incidence of death by suicide and exposure higher for Gay community youth than for the general population? I’ll accept that. Does that mean parents across the province who are intensely interested in their child’s education should be forced to give up parental rights? No. Is the current Alberta law on gay-straight alliances as imposed by cultural-marxist New Democratic Party the only way to deal with this issue? No. Is it the best way to deal with the issue? No. What do you say to any kid who strongly disagrees with their parents about anything? This is no different from a teen rejecting parental religion or culture. You tell the kid they can push back, say nothing and get along until they’re old enough to go their own way or leave immediately. My advice would be to get along until they’re old enough to manage on their own – which is what most kids do. Kids who bolt and end up on the street get into trouble because of a lack of maturity which goes back to my point – children are not given the rights or responsibilities that adults are – with good reason based on long experience. Honestly I haven’t given it much thought as it is an extreme situation, and not common – I think. Your view?